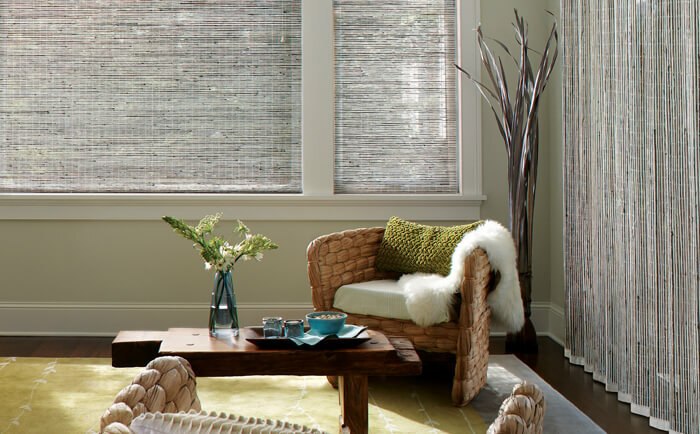 At Cadillac Window Fashions, we offer an extensive selection of woven woods from the Hunter Douglas collection. View some of our Hunter Douglas Gallery Showroom Woven Woods. 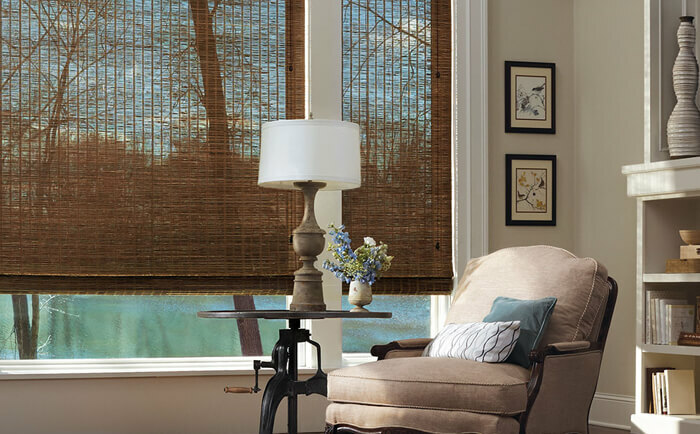 Provenance® Woven Wood Shades add a warm, rich dimension to any room, whether they’re hanging flat in the fully lowered position or raised, creating even, overlapping folds. Provenance shades are created from natural woods, reeds, bamboo and grasses and will age beautifully in your home. Call us at 416-665-9392 to Book a Free In-Home Consultation. Your the best! I wanted to take this opportunity to thank all those at Cadillac Shutters there were involved in installing my shutters and to all that provided me with exceptional customer service in my dealings with you company. Visit Our Hunter Douglas Gallery Showroom!